We earn commissions that are paid by our travel partners, not from our clients. You should never have to pay more for a vacation booked through a travel agent than you would if you went directly to the tour provider yourself. Take Time To Travel may assess the following planning-related fees to help defray certain non-commissionable costs related to arranging your travel. These are expenses that are not offset by commissions we earn in providing our value-added services. Airlines no longer provide a commission to travel agencies for selling airline tickets. There may be a service charge for certain airline ticket services. $35 handling fee for frequent flyer upgrade certificates or mileage redemption tickets. Any fees charged by the travel partner for name changes, date changes or cancellation fees imposed by the airline, resort or tour company. $50 per person administration fee for cancellations of individuals within a group for cruises or tour packages. 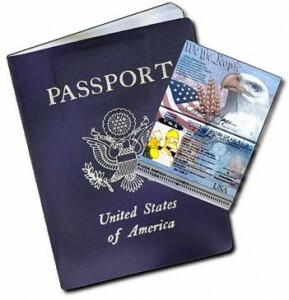 You have the option of downloading and printing your travel documents from the convenience of your own home or office, or we will gladly provide a copy of the documents for you. $10 for additional printed copies of electronic cruise and tour documents. $15 for express (overnight) delivery of tickets or documents. If you have questions about any of our travel planning fees, please speak directly with a Take Time To Travel representative for clarification.